Reviewed from copy received for blog tour. 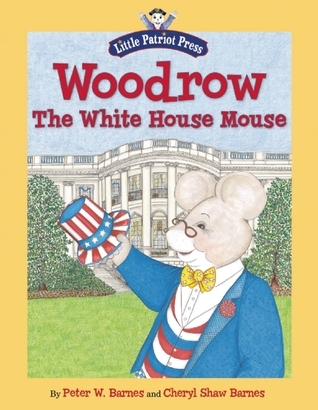 This book provides a cute way to help children understand the role and responsibilities of the President of the United States. Through the eyes of a mouse president readers get a glimpse of the White House and some of the different rooms and what sort of things take place in each room, for example, the Oval Office is where the president signs bills into laws and conducts most business related to his position. Nicely informative with detailed illustrations based on the real furniture, traditions, and clothing used by current and past presidents. The extended explanations at the back of the book are great for teachers, parents, or children to refer to for more information. The illustrations are perfect for looking at closer with plenty of detail and the Presidential seal hidden in each picture. With the amount of detail, this book would work best as a lap read rather than a group read-a-loud. 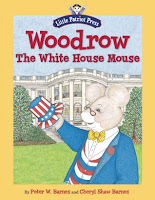 I recommend this for teachers and/or parents who are looking for a way to help their children understand more about the job of President of the United States. This sounds like a great books for people to use in schools as part of an election unit. I like that it helps kids to understand such big concepts. Great review! I'm glad you're enjoying Woodrow's adventures! Thanks for being on the tour.